The administrators of the hospital. 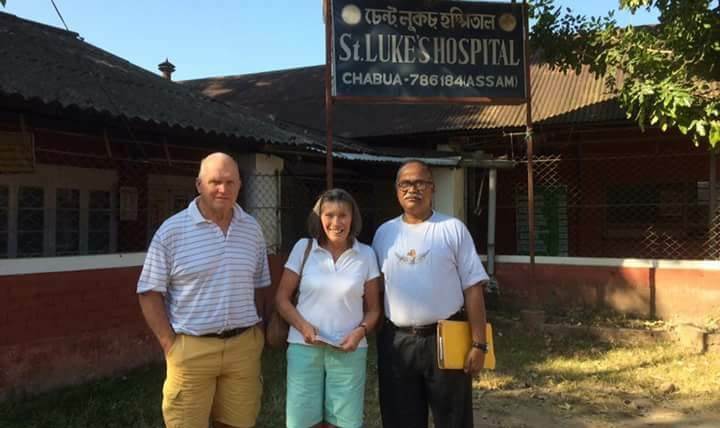 The authorities of Chabua based St. Luke’s Hospital here filed an FIR on Wednesday at Chabua police station against the members of All Assam Muttock Yuba Chatra Parishad for allegedly threaten to kill the administrators of hospital, Aditi Abhilash Herenz and Kimsan Take. Aditi Abhilash Herenz in her FIR stated that on August 22, Satyan Gohain, office assistant of St.Lukes Hospital, who was dismissed from service, brought a group of people who identified themselves as the member of All Assam Muttock Yuba Chatra Parishad and started to threaten them without giving any chance to speak to them. She further alleged that they torn the termination letter of Satyan Gohain issued by the hospital authorities in front of the officer in charge of Chabua police station. Jugal Baruah, president of All Assam Muttock Yuba Chatra Parishad, Dibrugarh district has threatened to kill Aditi Abhilash Herenz and Kimson Takri, administrator of St. Luke’s Hospital, Chabua if they do not withdrew the termination of Gohain, she mentioned in the FIR. They also allegedly demanded Rs 30,000 per month and 12 bigha of land from them. Gohain, on the other hand, has expressed strong resentment over her dismissal. “How can they dismiss me from my service, where I have been working for last 12 years, without issuing him prior notice? They cannot dismiss me from my service like this. It’s a violation of the service rule. If I have done any mistake they should issued warning letter to me or they can suspend me but how can they terminate me from my service,” Gohain said. “Few months back, I brought to light certain issues of the hospital like lack of pathologist and under-qualified staff working in the hospital. This is the reason they have terminated me from my service,” he said. On Wednesday, the members of All Assam Muttoc Yuba Chatra Parishad blockade the NH 37 at Chabua for an hour in protest against the dismissal of Gohain. Jugal Baruah, district president of All Assam Muttock Yuba Chatra Parishad said it’s an injustice done by the management committee on Gohain. He denied the charges brought by the management of St Luke’s Hospital, Chabua against the organisation. He said a meeting was held at Chabua circle office to sort out the issue.